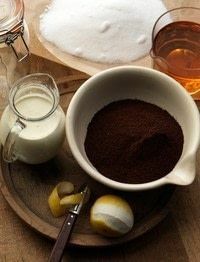 Scrub the lemon and finely pare the rind with a potato peeler and put in the wide-necked preserving jar with the coffee and the rum, and leave to stand for 1 week. Add the sugar and shake well to dissolve the sugar. Leave for 7 more days, shaking twice daily. Strain through a sieve lined with a piece of fine muslin into a bottle, seal and leave for 3 months. 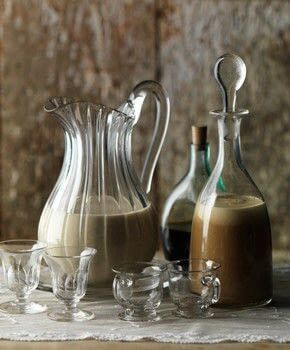 When ready to serve add the cream to the bottle, shake and serve. Store in the fridge or in a cool place. Bring to room temperature and shake the bottle well before serving. Making & keeping: Make any time of the year. Macerate for 2 weeks. Mature in bottle for 3 months. Keeps indefinitely until cream is added. Once cream is added it keeps 6 months in the fridge.